Artist Jeff Wilkie creates brilliantly colored and carefully detailed multi-media paintings that reflect the beauty of nature. Subjects range from the majestic strength of a solitary wave or the playful charm of a family of dolphins to floral still life images. Wilkie’s passion for his art and for nature is brought vividly to life in his paintings. Jeff first refined his natural talent through several years of collegiate art study and then continued his growth by opening a commercial design studio. Through the years Jeff’s hard work and his exploration of various techniques have led to the distinctive style for which he is known today. Jeff’s artwork can be found in corporate collections worldwide. 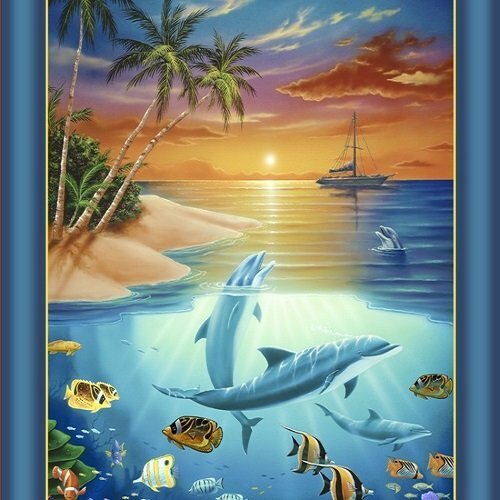 Jeff’s art has been licensed for myriad products including: puzzles, apparel, fabric, wall murals and home décor.